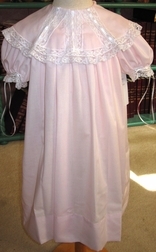 A lovely dress for weddings, First Communion, confirmations, baptisms, holidays and portraits. 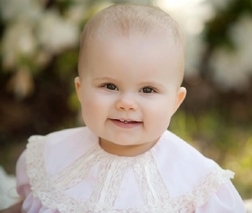 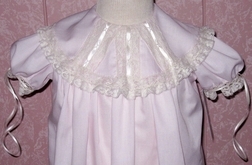 The dress is shown here in pristine light pink batiste fabric and is embellished with white lace in the collar, around the collar and around the sleeves. 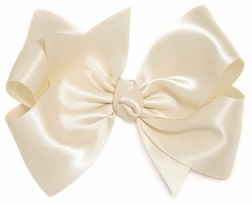 The sleeves also have satin ribbon woven through the ends that forms pretty bows.